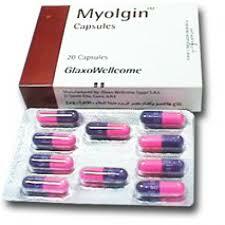 Myolgin is Muscle relaxant and Analgesic. upper GI disease (e.g. ulcer, gastritis). Paracetamol is rapidly and completely absorbed from tbe.Gl tract with peak. plasma concentrations within 0.5 to 2 MOrs. It is la1iveryand uniformly distributed throughout most body fluids, It is extensively metabolized and excreted in urine primarily as inactive glucuronide and sulphate conjugates. The half-life in plasma is about 2 hours. The usual adult dosage is one capsule to be taken 3 or 4 times daily. N.B. take with food or water if GI upset occurs. Myolgin capsule is contraindicated with known hypersensitivity to any components of the preparation Avoid in patients with liver disease. Occasional Gl disturbances, dizziness, nausea, lightheadedness or drowsiness, malaise or overstimulation may be noted. Rarely, a patient may note discoloration of the urine resulting from a phenolic metabofite of Chlorzoxazone. Alcohol and other CNS depressants: They cause drowsiness that may be additive to that induced by chlorzoxazone. They also may increase the potential of hepatotoxicity of paracetamol. concomitant use of alcohol or other central nervous system depressents have an additive effect If a sensitivity reaction occurs such as urticaria, redness or itching of the skin, the medicine should be stopped. If any signs or symptoms suggestive of liver dysfunction are observed, the medicine should be discontinued. Dosage in excess of the recommended ones may cause severe liver damage. 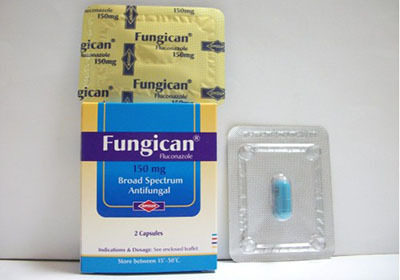 Patients suffering from kidney disease should take this medicine under medical supervision. – Myolgin Capsule is provided in strips of 10 Capsules in a pack of 2 strips. – Store below 30′ C.
El Salam City, Cairo, A.R.E.